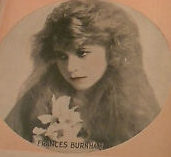 What became of actress Frances “Frankie” Burnham was a mystery for a long time. Her family could offer no help. They were even unsure what happened to Susie Burnham, her mother, who left her rural Missouri home and never returned. Hollywood asked the same questions. 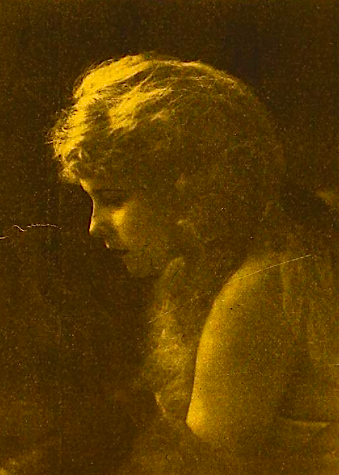 Her opportunity for a big splash came when she landed the lead in Lorelei of the Sea (1917). Her reviews were mixed, but her big splash on the silver sheet turned out to be nothing more than a ripple. She vanished in 1919. What became of Frankie Burnham? 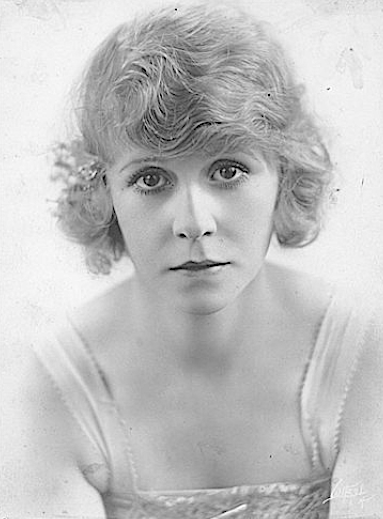 The actress with golden hair and big bright eyes was born in Los Angeles on April 19, 1895, to Frank and Susanna (Carr) Burnham. 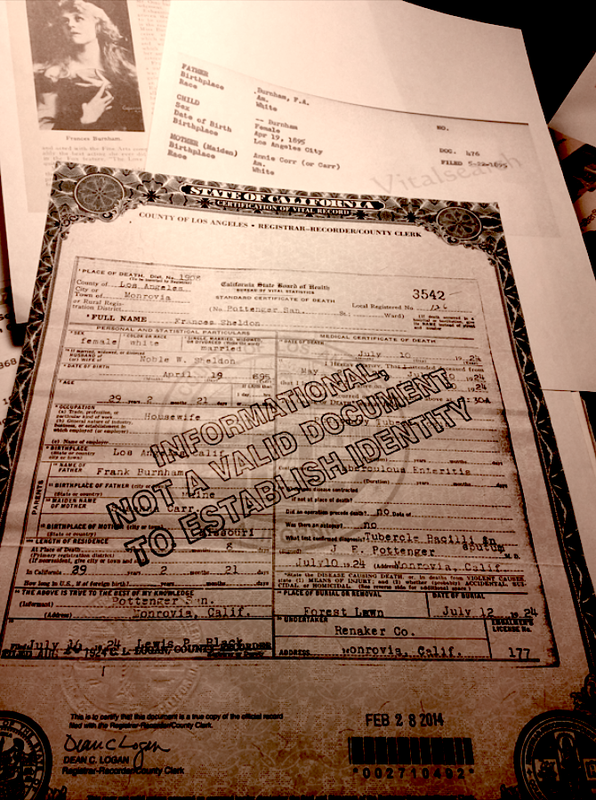 The mysterious Frank Burnham came from either Massachusetts or Maine, no one knows at this point. Susanna, or Susie, hailed from Missouri. She lived there long enough to grow up and get out. Susie spent the Gay Nineties wearing wedding dresses. Her first husband was Oscar Louis. This union produced Dean, born in Kansas in 1891. Susie made her way west and had a quickie marriage to Frank. Little Frances came into the world. In 1897, Susie became Mrs. Ernst Vogel and soon the mother of two more children, Ernest and Violet, born in 1899 and 1906. 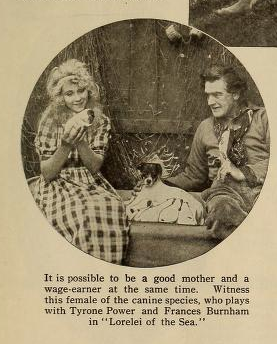 In 1915, about the time Frances was breaking into films, Susie was breaking in a new husband, Everette Scates. Frances had been in films a few years when she was tapped to play the lead with Tyrone Power Sr. in Lorelei of the Sea (1917). The cast and crew shot the film in Kalem’s old studio in Hollywood and in the islands off Santa Barbara. Lorelei (Frances) lives by the sea. As a child, she was taken in by Paul (Power) and raised as his own daughter. The drama comes when Peitro (John Oaker) and Dorian (Jay Belasco), who washes up on shore, vie for Lorelei’s affections. 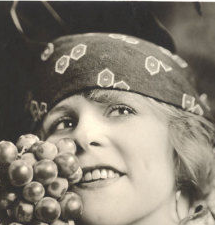 Frances had a leading role with George Walsh in On the Jump (1918), a World War I comedy. After a Western and two Lois Wilson films, Frances disappeared from the screen. On July 10, 1920, Frances married Noble Sheldon, an Ohio hardware salesman. The Noble Sheldons lived in this house at 4537 Prospect Avenue in the Los Feliz area of Los Angeles. 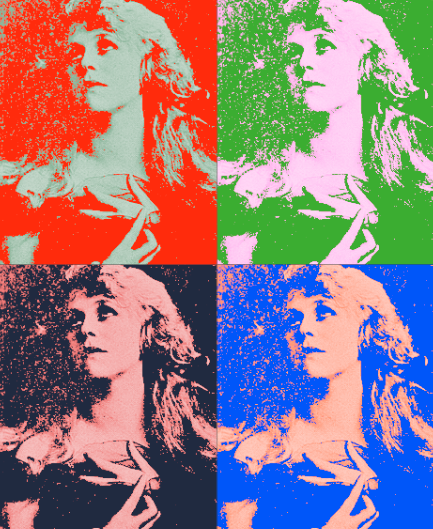 In early 1924, Frances became ill with pulmonary tuberculosis. 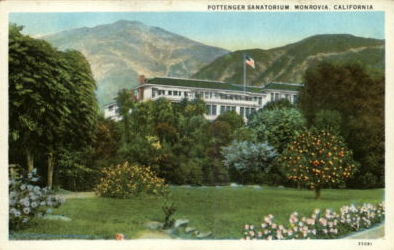 She went for treatment at Pottenger’s Sanatorium in Monrovia, where she died from the disease on July 10, 1924. She was only 29 years old. Frances Burnham rests at Forest Lawn (Glendale).